I know you don’t really like the sky crapper view, but trust me, you would love Hong Kong! I got that short message on my messenger from a friend who just visited Hong Kong several months ago. About three weeks later, I received a postcard from her, sent from Tsim Sha Tsui. She wrote me more about the city that may happen to make me interesting to visit it. Yes, that’s about the city’s transportation system which may attract me at the first sight, followed by the varied culinary experiences I should try. I never really interested to visit itsince almost everybody told me about their experiences of shopping and visiting the theme parks over there. I don’t really love shopping as well as I won’t spend half of my day at a theme park. I got myself wondering what if I go to Hong Kong and do what the local people do? Sure, it would be a bit different from what people usually do as a common tourist. But I am sure Hong Kong has various spots and activities to fulfill my interest to picturesque places for photography and culinary desires. Just put the transportation system aside. I know I will fall in love to the city because of the tram and MTR, things that I can’t find in Jakarta. As long as I have the Octopus card, I think I will safe. If I had 48 hours or two days in Hong Kong, I would like to get the experiences to enjoy the cityscape, culinary and local culture. All the ways like a local to discover this pearl of the orient. Hong Kong in Chinese literally means Fragrant Harbor. So, I can say the city is always about the harbor. Instead of wandering around the tall buildings, it might be more interesting to see the cityscape from afar. It would be a magnificent scenery to see the authentic junk boat around the famous Victoria harbor during the sunset time, a beautiful combination of the modern architecture Hong Kong’s skyline and the traditional Chinese fishing boat, which commonly seen hundred years ago. 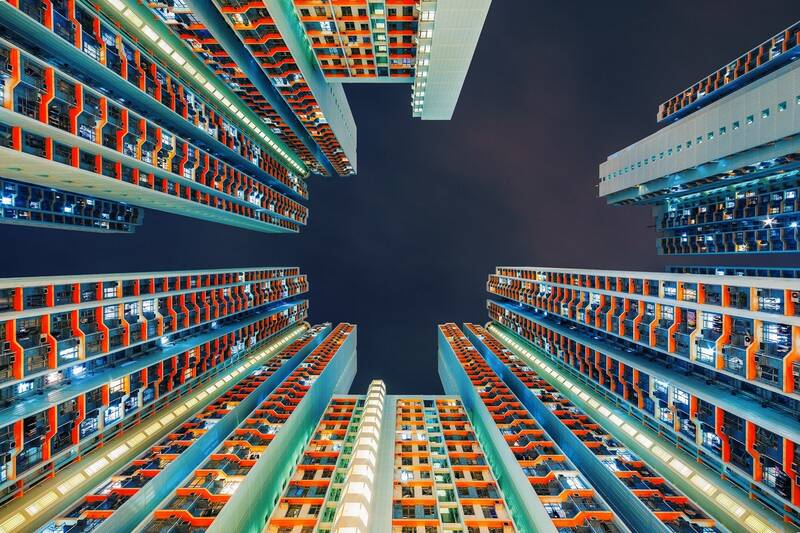 Moreover, other picturesque places can be seen by the appearance of hundreds neon signs between the concretes and walls or by seeing the high-rise looks of Hong Kong neighborhood from the ground. DIM SUM! Yesss, give me dim sum! I have heard that dim sum is more than food in Hong Kong. Brad Lau or the LadyIronChef said dim sum is a ritual, a lifestyle, it is a past-time, it is quintessentially Hong Kong. I am totally agree with that. As a dim sum lover, where else I can do the dim sum hunting but in Hong Kong. Lin Heung Teahouse is the first recommendation I got at least from four persons I asked about the best place to have the best Dim Sum in Hong Kong, followed by other places such as Luk Yu Tea House and Dim Sum Square. Established in 1926, it is the oldest teahouse in Hong Kong where I can savor the authentic Hong Kong dim sum in classic way. Moreover, I want to see the bustling Wellington Street where people say the best way to see the old and original Hong Kong. Anyway, I am also curious to give a try to the Halal dim sum in Hong Kong. I am pretty sure it will be not difficult to find some there. Culinary again – pineapple bun and milk tea. I think people can eat dim sum for breakfast, lunch and dinner in Hong Kong. But for snacks, the pineapple bun or the Bo Lo Bao is another achievement to accomplish while visiting the region. At first I thought pineapple bun served with a pineapple jam inside the bun. No, the bun mostly served with a piece of butter inside. People call it pineapple bun because this soft bread looks like a pineapple. The Kam Fung Restaurant is one of the most recommended places to savor pineapple bun. Here you can enjoy the famous pineapple bun with a cup of milk tea. Last but not least, the best way to discover more like a local in Hong Kong is by observing the tradition among the people. Somehow, observing people is the best way to know more about the culture and making the good memory of the place. Hong Kong Tourism Board website recommends a morning trip to visit two temples in Kowloon. They are Wong Tai Sin temple and Wong Tai Sin Fortune-telling and Oblation Arcade. These two places are the scenic attractions that combined with the local traditions that still existed between the busy areas of Hong Kong. 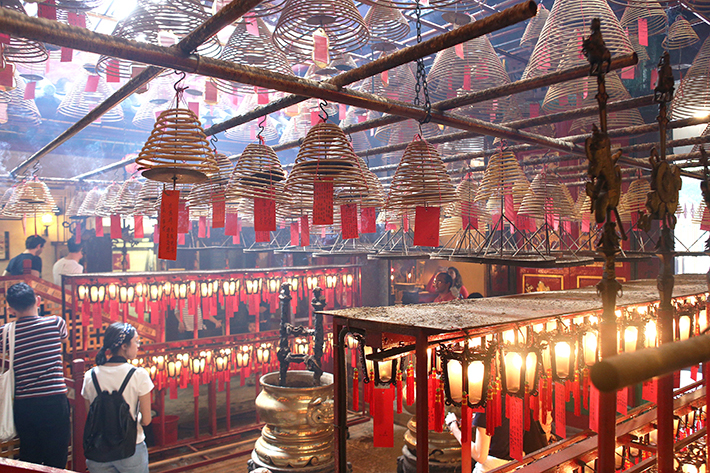 Moreover, Man Mo temple in Hong Kong island is another place to feel the real ambiance of Hong Kong people. Some said that parents in Hong Kong usually take their children to pray for the good academic result at the temple. Making a plan of visiting Hong Kong is about seeing some glimpses of the past in the modern living. I expected the region as a bowl where the East meets West, as a form of both in culture or way of living and the physical term. So, what if I can spend 48 to 72 hours in Hong Kong? Try me! Sure I will explore more. 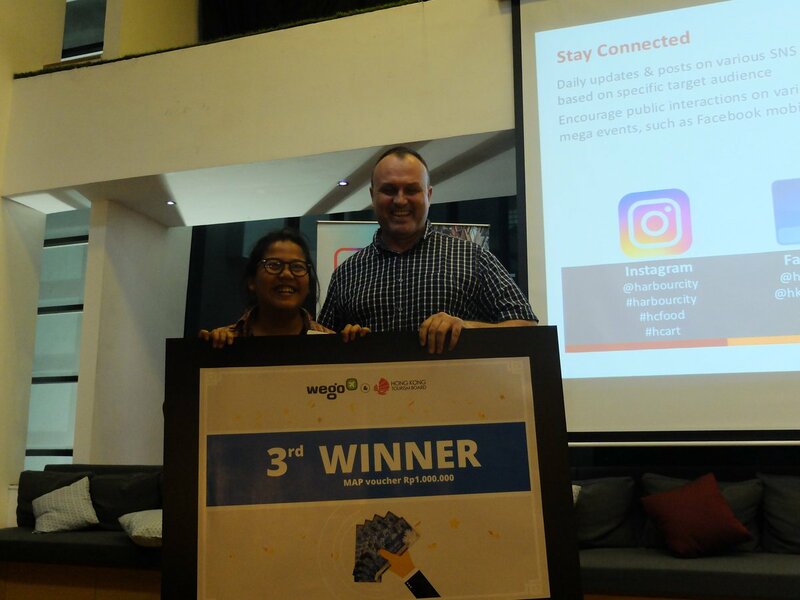 This entry was posted on March 5, 2017 by Edna Tarigan in City Tour, Culinary, People and Culture, Tips, Travel and tagged discoverhongkong, hong kong, picturesque, travel.